The founder of Toronto Women’s Fashion week, and Toronto Men’s Fashion week, Jeff Rustia has found a genius way to use his own personal struggles and family tragedy to help others who are dealing with childhood disabilities. After losing his son years ago to a disability, he was able to come up with an idea that would turn his pain into a passion, and would inevitably create a positive way of giving back to the community. With a love for fashion, and a successful role in the industry in Toronto, he was able to pioneer The Men’s and Women’s Fashion for Hope. “A special charitable initiative at TW to raise funds for The Kol Hope Foundation for Children. All proceeds are donated to the Easter Seals Canada via the Kol Hope Fund @ Easter Seals to help provide wheelchairs and respite care to kids with disabilities. The mission of the Kol Hope Foundation for Children is to show love, compassion and support for all children with disabilities..”. The Kol Hope Foundation also focuses on the children’s families and also provides opportunities for children with disabilities to attend summer camp. The Men’s and Women’s fashion for hope is a celebrity fashion show. 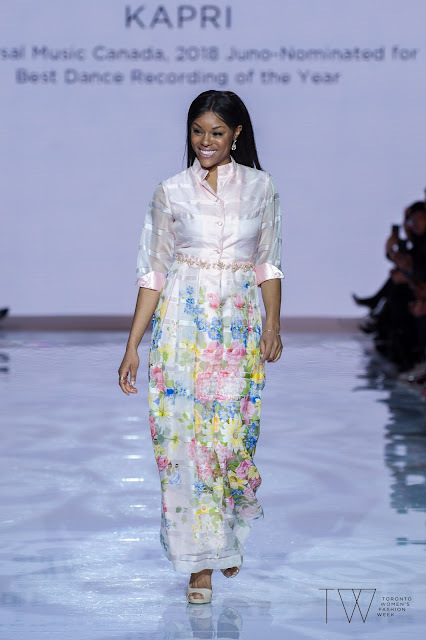 Each of the celebrities raises money in order to be able to strut their stuff down the catwalk in some of Canada’s finest clothing, created by the best Canadian designers. A winner is chosen at the end of the show, for the celebrity who raised the most money. However, The Fashion for Hope show isn’t like any other runway show. It is exciting, relaxed, fun, and gets the crowd involved. Each model (celebrity), showcases their own personality by dancing, stomping or shimmy-shaking down the runway to get the crowd excited and energized. Some have the onlookers roaring in laughter. All of the models are greeted by cheers from the crowd, organizers, media and designers themselves, creating a much more playful and relaxed environment to what we often see in many runway shows. With fun, bright clothing designs, makeup, playful hairstyles, and vibrant music, this yea the models appeared to enjoy every minute of the event. For more information about the Men’s and Women’s Fashion For Hope charity fundraiser at Toronto Women’s and Toronto Men’s Fashion Week, you can visit https://www.tw-fw.com/donate to learn more about the foundation, or get involved by donating or participating in organizational activities. You could be the difference for many children and families who could use the love and support. To date, the Kole hope Fund at Easter Seals has raised over $65,000 for children and families in need.